The history museum of Yerevan opened its doors in 1931. It was founded to collect and preserve the memory about the development and formation of the Armenian capital. For many years museum occupied the building of "Blue Mosque". However, in 1994, the Blue Mosque was returned to the representatives of Islam in Armenia, and the museum moved into the building of a girls' school. Ten years later, the History Museum of Yerevan, finally, moved into the building of City Hall, where it is located up to this day. Today the collection of museum numbers more than 87,000 artifacts representing the material and spiritual culture of Yerevan, which has existed here throughout the history of the city, which age is over 2800 years. Basically the museum exposition consists of the things from the fields of archeology, ethnography, numismatics and art such as house ware objects of different eras, strange books, sketches of Yerevan, which were made by travelers, different weapons, jewelry, etc. the main exhibit is the copy of the cuneiform stone from the fortress of Erebuni, which tells that in 782 BC, king of Urartu Argishti I founded a fortress city. Most part of this amazing collection was provided by residents of Yerevan and the rest was derived received from public funds. The museum displays the technology objects, which appeared in Yerevan, such as various clocks, including the first tower clock in Yerevan, first telephone sets, first printing presses of the city and much more. 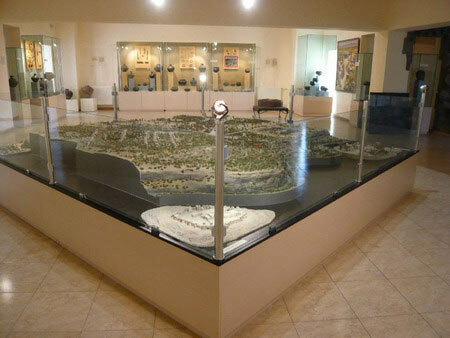 In addition the History Museum of Yerevan also has relief models of city panoramas, which were created on the base of survived drawings, paintings and photographs. All this allows visitors to see Armenia as it looked a hundred and more years ago.